Lavanda, located between the mountains of the Madonie National Park and the sea, is an ancient Baglio-style cottage (a traditional Sicilian country villa with an interior courtyard) built more than 300 years ago to manage a large estate where olive trees were grown. In fact, it is still possible today to follow the ancient process of oil extraction and preservation in the mill and oil jar room. The house, furnished with antique furniture belonging to the family, is located on a hill and offers clear views of the sea. It is surrounded by olive, carob and almond trees, crisscrossed by a long path of cypress trees. The garden surrounding the house is also filled with big lavender and rosemary bushes, pomegranate trees and other Mediterranean-style plants. An old drinking trough can be used as a swimming pool and there is an 18-hole golf course about 3km away. The sea is about 5km away. The old seaside village of Cefalù and its truly beautiful Norman cathedral is about 15km away. Attention: This holiday home will not be rented out to families with children under 15 years old considering that the holiday home is furnished with a large number of objects which have high and sentimental value. 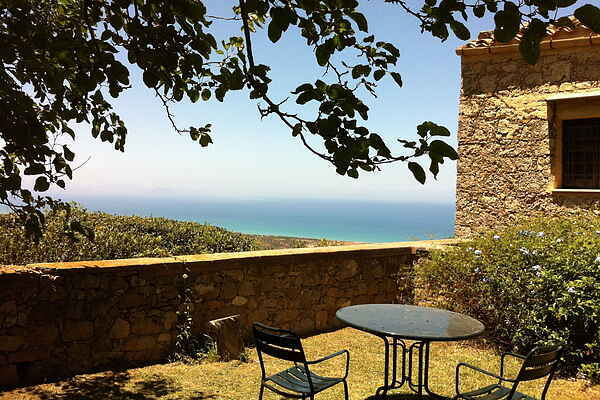 Lavanda, located between the mountains of the Madonie National Park and the sea, is an ancient Baglio-style cottage (a traditional Sicilian country villa with an interior courtyard) built more than 300 years ago to manage a large estate where olive trees were grown. In fact, it is still possible today to follow the ancient process of oil extraction and preservation in the mill and oil jar room. The house, furnished with antique furniture belonging to the family, is located on a hill and offers clear views of the sea. It is surrounded by olive, carob and almond trees, crisscrossed by a long path of cypress trees. The garden surrounding the house is also filled with big lavender and rosemary bushes, pomegranate trees and other Mediterranean-style plants. An old drinking trough can be used as a swimming pool and there is an 18-hole golf course about 3km away. The sea is about 5km away. The old seaside village of Cefalù and its truly beautiful Norman cathedral is about 15km away. Attention: considering that the holiday home is furnished with a large number of objects which have sentimental value, it will not be rented to any families with children under 15 years of age.